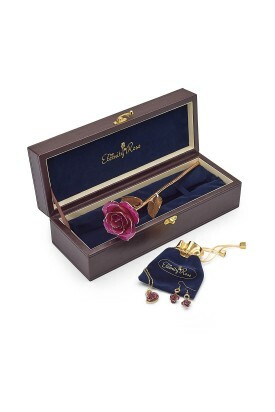 The most beautiful matched gift set a woman could receive. 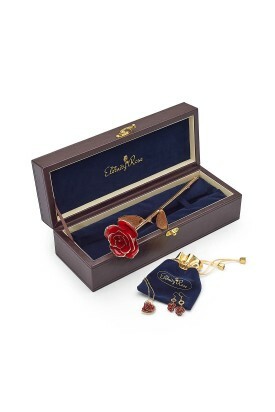 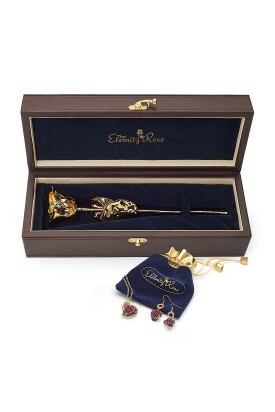 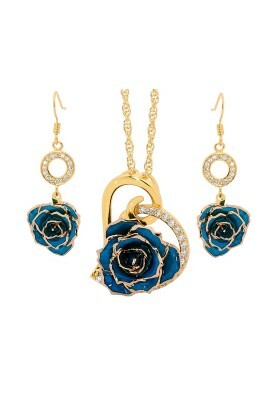 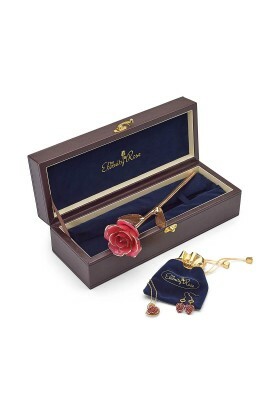 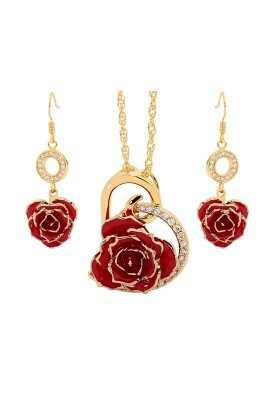 The sets include a preserved Eternity Rose with matching pendant & earrings set. 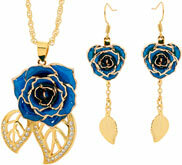 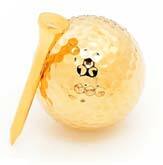 The jewelry includes a rose bud made from glazed natural rose petals, which have been gold-trimmed. 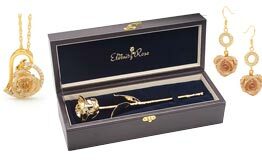 There are two types of sets. 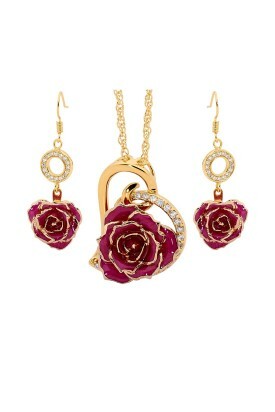 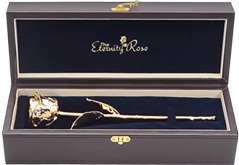 One type includes a gold-dipped rose and jewelry set, the other includes a glazed and gold-trimmed rose of the same colour as the jewelry rose petals. 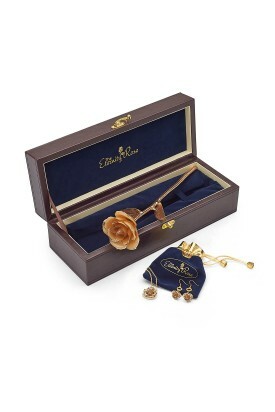 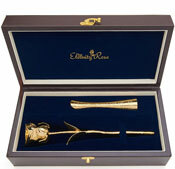 A simply exquisite and natural gift for her that conveys a heartfelt sentiment.